The AlpStore final conference was held at the Castle of Bard in the Aosta Valley on February 26th, 2015. Partners from the seven Alpine countries worked together to promote strategies to use storages as mean among others to match the intermittent renewable generation to the energy demand in space and time. Over one hundred people from public administration, business, freelance and research took part in the conference which presented the results of the project and the final guidelines on stationary and mobile storages. The guidelines focused on technology, policy, market and regulation addressing policy makers, companies and practitioners. A great interest was shown for the Market Place dedicated to the AlpStore pilot projects where participants discussed the experience gained from the real application of storage solutions. The Alpine Space programme continues in 2014 - 2020 and the Action Lab session gave a glance at the future, providing a lot of information and feedbacks on project ideas. Visit the DOWNLOAD page (section Presentations) to have full access to all the presentations held during the Final Conference. On February 27th 2015 the participants took part to the study trip at the pilot project Smart Node, implemented at the headquarters of the company MAVEL Ltd. in the town of Pont Saint Martin (AO). 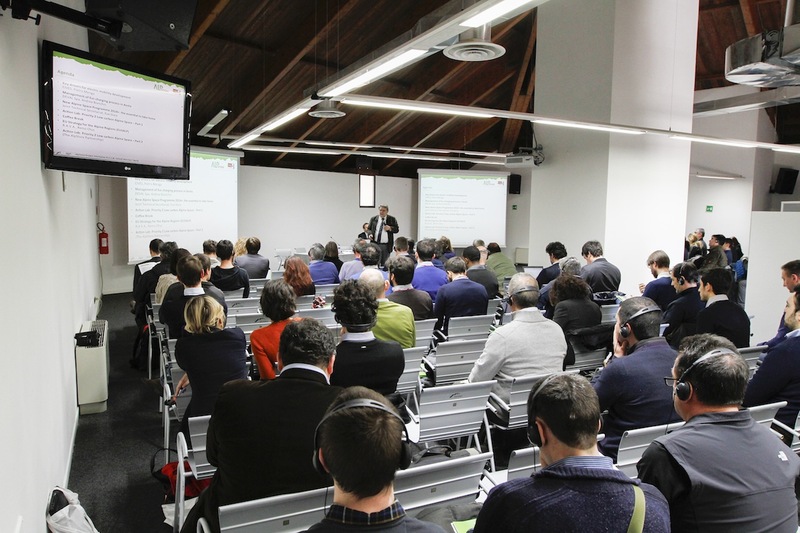 More than 50 participants were able to see up close a real application of smart energy management system within an SME Aosta Valley. Moreover the day was also the occasion to present the innovative activities of other SME Excellence ElectroPowerSystem SA, Vallee Trafor Spa Podium and Engineering srl.